In preparation for my trip to Boston I bought a headset to use with my laptop so I could phone home using Gizmo (short review: It worked really well, as good or better than Skype on my last US trip). 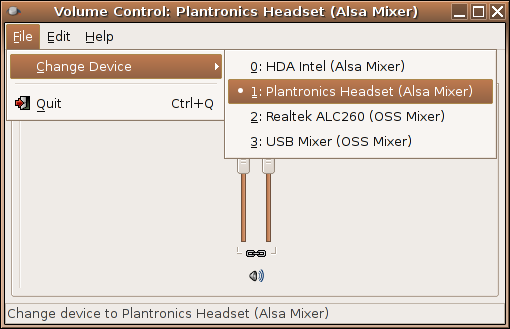 I wasn’t particularly paying attention and ended up buying a Plantronics usb headset – I naively assumed it was a regular headset with audio jacks plus a usb sound card with audio in/out to plug the headset into. While I didn’t need the usb bit for my laptop I thought it would be a useful thing to have. 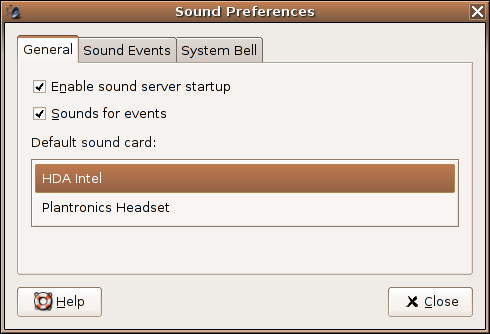 Turns out it is a straight through usb device meaning you can’t separate the headset or plug any other audio device into the usb soundcard. which get’s you to this dialogue. 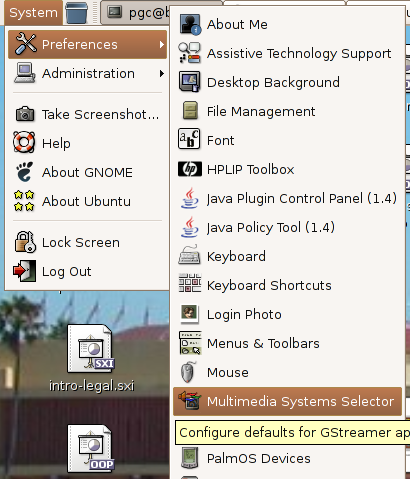 I presume the problem is ESD controlling the audio device and not allowing Gizmo access to it and Gizmo not knowing how to interact with ESD. Also you have to kill ESD. 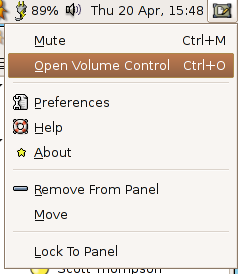 Not sure what exactly is going on and don’t know where to file bugs about that. Anyway now things should work a bit better. 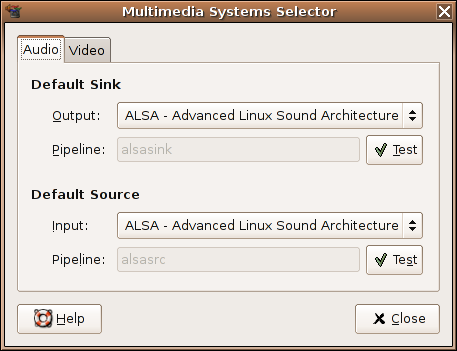 Of course the first audio app you start will hog the soundcard since dmix (direct mixing) isn’t enabled in ALSA by default (at least as far as I can tell) so don’t think about trying to listen to music in rhythmbox or banshee and take calls on Gizmo or Ekiga without creating an /etc/asound.conf or ~/.asoundrc file and that just makes my head hurt. 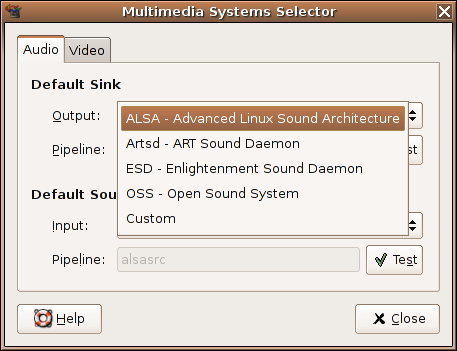 Any ALSA gurus want to help me out here (I’d like dmix on my main soundcard and the usb headset if possible)?